Think of the Center as a "coworking space" right off I-35 and 4th Street (134th St) on the south side of the Metro. Each of the organizations who operate out of the Center have a private office and share many amenities together. This setup keeps costs low but still allows us as organizations to have all we need to carry our missions. Here are the details of space and amenities available at the Serve More Center. Think of the Center as a "community coworking space" right off I-35 and 4th Street (134th St) on the south side of the Metro. 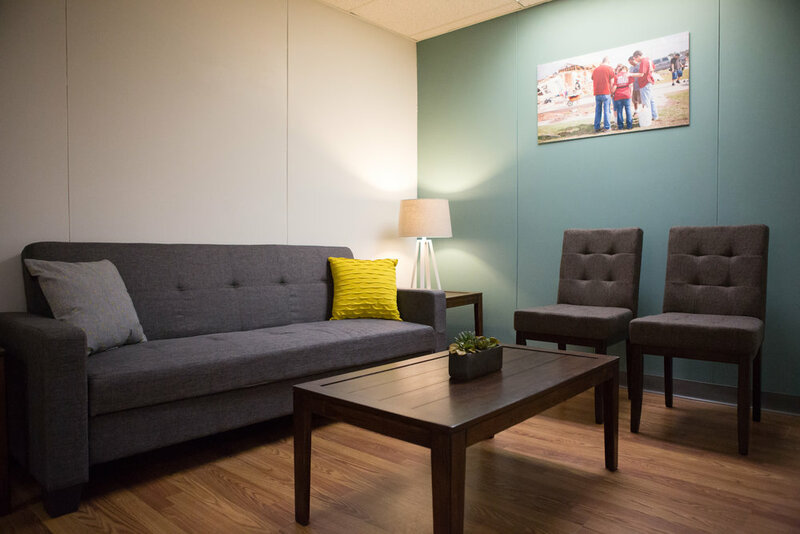 Organizations love calling the Center home because their partnership supports Serve More's efforts to bring renewal and restoration to the OKC Metro area. They each have a private office in the building and share many amenities together. This setup keeps costs low but still allows us to have all we need to carry our missions. Each organization pays a monthly fee for membership based on their status and age. This form helps us get to know you and your organization a little better. We'll use the information provided to get a small picture of what you do and how best your organization might fit in at the Center. Please use this form to be as brief or as lengthy as you'd like. Is there any additional information we haven't asked about, but should probably know? Thank you for filling out an application for membership at the Serve Moore Community Renewal Center! Now that we have more specific information about you and your agency, this information will head to the Serve Moore Board for consideration. We'll be in touch with you soon to discuss further what collaboration between our organizations could look like!